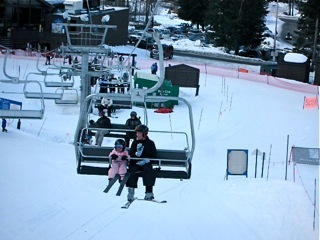 So......Tori and I graduated to the bigger ski slope and got to ride the lift up the mountain. We're riding with Tori's mom, Sonja. I was a little spooked because I was so high up. Lucky for me, it wasn't windy!